Tag Cloud is located at the right hand side of the article, and it is indicated how many tags can help you. The larger of the tag is, more articles are tagged. 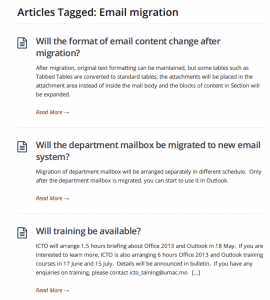 Tag “email migration” and tag “staff email” is larger than the others, and you can know that these two tags have more articles than the others. 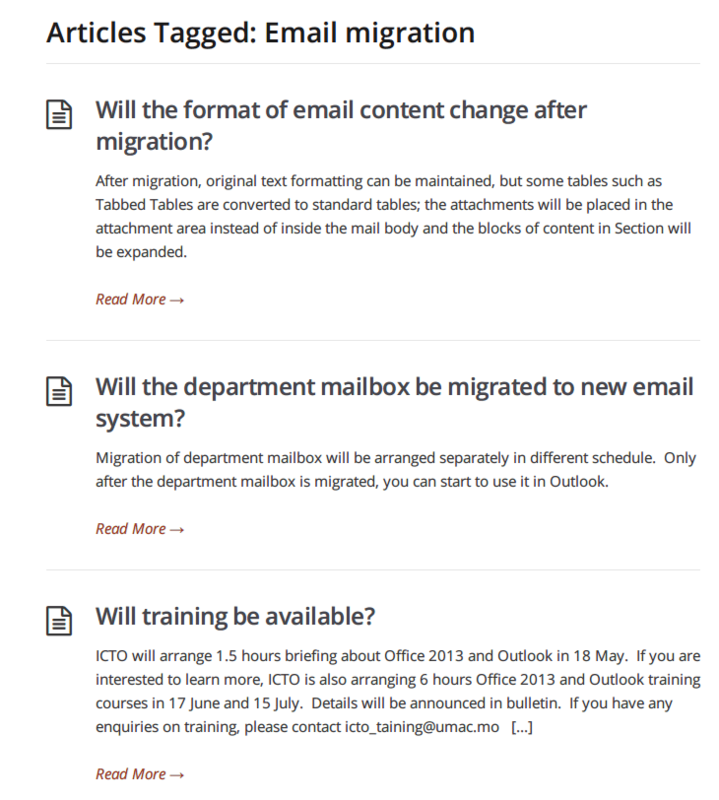 By clicking each tag, a list of articles that are tagged will be shown. 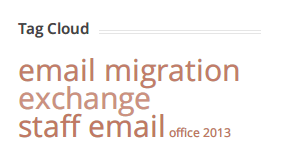 For example, clicking “email migration”, you will see the following article list. 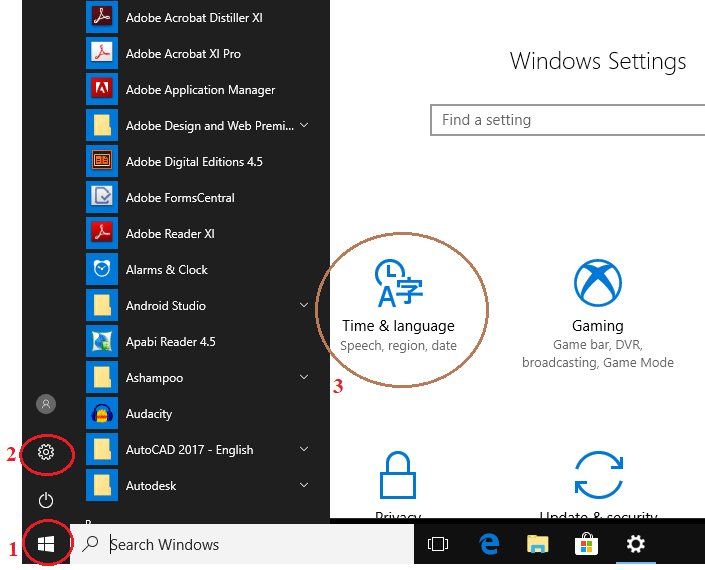 How do I change the computer room Windows 10 display language? Click the Start button, select Settings and then Time & language. 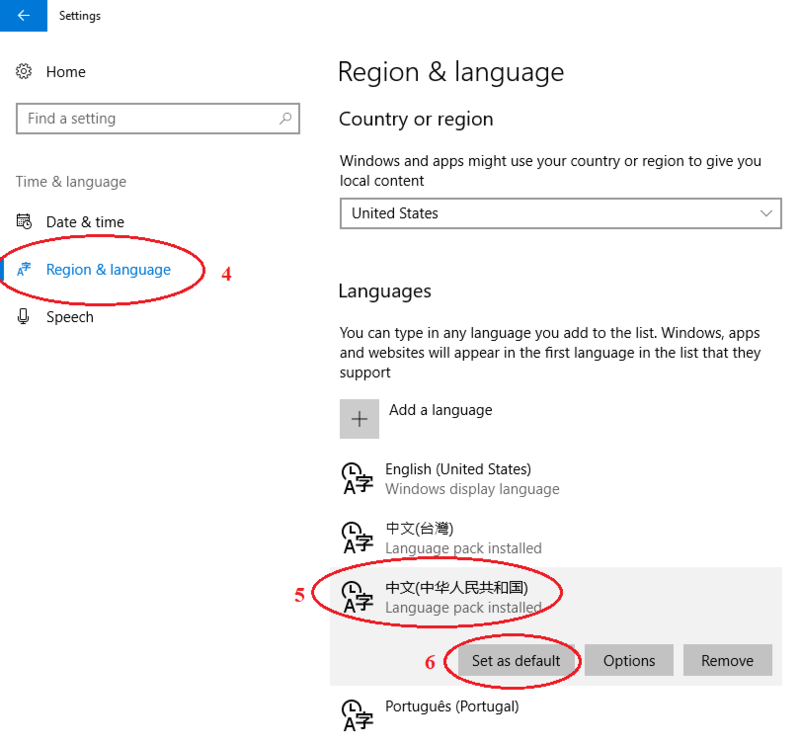 Click the Region & language. Choose your languages and then select Set as default. 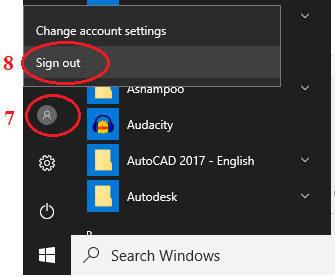 Click on your account, select sign out and sign in again (Please do not re-start the Windows). 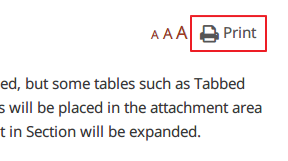 By clicking the “Print” button, you can easily get the print friendly version of article without the banner, sidebar and unnecessary content. We have prepared a lot of frequently ask questions and answers regarding to our services, if you don’t know where to start, please use the live keyword search. For example, if one wants to read the related topics of “check email”, just type “check email” in the Search box as below, the best matching articles will be shown. Simply click the result and it will navigate to that article.